Oxford University Press, USA, 9780195077391, 480pp. Psychiatry and psychology, including psychoanalysis, have exercised enormous cultural and scientific influence in our century, and an important part of the growth of these fields has been their attempt to construct accounts of their own disciplinary pasts. Yet these accounts, which form the collective memory of the psychiatric profession, have varied greatly. In fact, the history of psychiatry has emerged as one of the most rapidly-growing and controversy-ridden areas of commentary in recent years. This book brings together twenty studies by a cast of eminent authors--physicians, social scientists, and humanists from Europe and North America--who explore the many complex interpretive and ideological dimensions of history writing about the psychological sciences. 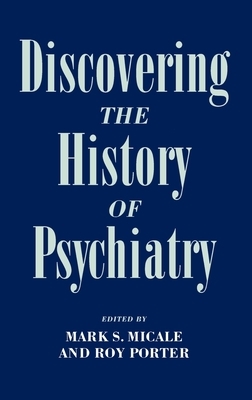 It includes chapters on the history of the asylum, Freud biography, anti-psychiatry in the United States and abroad, feminist interpretations of psychiatry's past, and historical accounts of Nazism and psychotherapy, as well as discussions of many individual historical figures and movements. This book represents the first attempt to study comprehensively the multiple mythologies that have grown up around the history of madness and the origin, functions, and validity of these myths in our psychological century.